Create your own list of how you could use the NBN to your advantage. Review the table of ideas and see which ones suit you. Click in the checkbox if the idea suits you. At the end click the button to build you custom NBN idea list for export. Each topic idea has a link for more information from the NBN eBook. How you can save money on communications NBN can combine telephony and Internet access for the one cost. 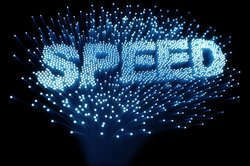 Real high speed Internet is cheaper than alternatives. Time saving and productivity improvement Less waiting for remote information. Tasks can be completed quicker. Decisions can be made quicker. Email reading productivity improvement Improve the loading time of emails including the pictures. Linked resources can be accessed quicker. More email users can share the same Internet connection with speed. Tablet application uses NBN Internet is more consistant than mobile Internet. Video calls can be made without excess data charges. Over 1 million applications can be accessed at speed. Video conferencing done well High definition video conferencing from multiple sites is possible using the NBN. Reduce travel costs for speakers and audience. YouTube Allows for multiple video downloading and uploading simultaneously. Video buffering wait times eliminated. Professional Development Create education content and consume content with a good student experience. Maintain and develop skills without travelling. Education massively open online courses Access to worldwide education resources. Class participants can be grouped together for collaboration. Train on your own timetable. eCommerce Fast Internet users can access advanced services like video product demonstrations and online clothes sizing. Online stores can scale up transaction volumes without communication bottlenecks. eBooks Hire eBooks from your library. Use ebooks at school to save on costs. Keep the latest book editions dynamically. Learn in depth new topics fast. Waiting Room Wifi NBN Keep customers happy with free Wifi networking. Customer productivity can be maintained while waiting. NBN can support large numbers of simultaneous users. Public Wifi Hotspot Drive more people to your location. e.g. Coffee shop or motel. Users can have a better Internet experience with a shared NBN connection. Podcasting Create/consume video or audio program sequences from worldwide locations. Audiences can subscribe to podcasts and consume them offline. e.g. commuting, exercising etc. Social Media Monitoring Track you Internet profile in real time and keep a good online reputation. Monitor your competitors in real time. Answer Internet user enquiries in your field in real time. 3D Printing Create plastic models with 0.1mm accuracy as required. Use the NBN for design and submitting for 3D printing in seperate locations. Share 3D model files, print spare parts as needed etc. Remote Backup Keep a backup of your files in a remote location in almost real time. Virtual computers can be maitained in sync with a NBN connection at 2 sites. No more handling backup tapes. Google Video Have a private organisation only YouTube video system. Upload meetings, training, product demonstations, case studies etc. Provide information to a distributed group easily. Smarter User Friendly Software Operate with the best software in terms of efficiency on computers, tablets and smartphones. e.g. Digital ordering, digital invoices, online stock tracking, timesheets online etc. Cloud based software works best with fast 2 way communications. Open Source Software There are over 300,000 open source software projects online. Some might suit you. Desktop and server software available. Code is available for customising if required. Data sharing across multiple platforms NBN can allow for many remote users to access organisation systems on work computers, home computers, laptops, smartphones and laptops. Systems can reside at headquarters or cloud based. Multicast AV Distribution Share a single audio or video stream to a worldwide audience. NBN allows for high definition video streaming without glitches. Security CCTV CCTV can be used in daytime or night time with remote access to video feeds. Can be linked to alarm system. Helps reduce theft and crime. Video analytics can be used for facial recognition, people counting, traffic flow etc. Shopping Convenience Online NBN users can access richer shopping experiences such as high definition content, 3D content and interactive shopping. Sell and buy from any location with Internet access. Home phone alternatives Provide communication with regular phones, VOIP (Internet based) phones, computer softphones like Skype and mobile device calls over Wifi. NBN allows for multiple calls simultaneously. IPTV NBN can support multiple video channels at the same time. View channels from worldside sources. Video can be viewed on computers, tablets or Internet ready televisions. Video Conferencing from Home High definition video conferencing is now possible with a NBN connection. Televisions can now include video cameras. Tablets and computers can also be used for multiple sites video conferencing. Teleworking Work from home while accessing company systems and company phone system (see VOIP) without any communting time. Organisations can access skilled people from remote locations. Home Business Opportunities Use Internet based resources to run a business from home. Online ordering, cheap telephony, website selling online, sell digital products, digital systems helping with order fulfillment etc. NBN can support even peak time volumes. e.g. before Christmas. Gaming Server Fibre NBN can allow up to 4 service provider connections to the same unit. This can allow the quantity of simultaneous players/subscribers to increase greatly. Scale up organisation size NBN can help with business seasonal and long term growth without hitting communication bottlenecks. e.g. Custom graphics ordering online (big files) before Christmas. More employees can be operating efficiently sharing the same Internet connection. Global Competition - staying ahead Track your market keywords, sales, website performance, social media alerts and trends faster. More parameters can be tracked for a given time. Better decisions can be made with the better data. Competition Research Track your competitors in terms of web pages, news, social media, keywords, hyperlinks etc. Help design your own business strategies in markets where you can succeed. Virtual teams across the globe Create a team with specific skills from around the world. Collaborate at speed with multiple site video conferencing, online project management, instant messaging and VOIP telephony. Branch office advantages Save on capital costs by using shared resources for servers, telephony, email etc. Minimal hardware is then required at branch offices. NBN can support more branch offices and more remote staff. Telecottage / Serviced Offices A suburban / regional building where multiple people access remote computing to perform their work. Save on inner city building costs. Reduce commuting times and access remote skilled people. One shared office can be used to service multiple remote organisations. Inventory control Use real time sales information to influence manufacturing cycles, ordering cycles and shipping needs. Improve shelf turnover and reduce waste. Business to business communication systems are required. Business Decision Information Flow Combine diffferent information sources to make better decisions faster. e.g. Customer information, accounting information, business history information, supplier infromation, transport information and government statistics. Some information can be compiled overnight for daily reports. Paperless Bills and Online Payment Convert from paper based systems to digital systems for ordering/billing and payments to save fulfillment times and improve payment times. NBN can be used to handle the higher digital workload. Online Services SAAS Use advanced online software on a pay per user basis. Only pay for what you use unlike software licences. Useful for organisations that are changing size over time. Remote software require good bidirectional Internet speed like the NBN. Online Project Management Provide online project management to unique stakeholder groups based on the project. Share project timelines, documents, tasklists, milestones and notes. Keep everyone up to date. Cloud Shared Documents Access documents from any Internet connected device using a browser. Have multiple editors working on the same document simultaneously. Only 1 latest version of a document. Share a document publicly if required with a hyperlink. Instant Payments - e-Banking, e-Payments Payments can be made in near real time online. Helps speed up ordering to product delivery time. NBN can help with payment clearances, customer correspondance, packing slip creation, postage labels and freight tracking. eCommerce Worldwide Wholesale Source and sell online worldwide at a wholesale level. Internet based technologies are used for customer enquiries, instant messaging, emails, stock display web pages, ordering, payment, freight tracking, goods acceptance and feedback. Tracking Goods, Vehicles and People Track the location of vehicles, shipping container and people in real time. Help with freight logistics planning, remote staff job planning and service billing at client location by time. Staff can use online systems to know where the next job location is without having go to the office. Less paperwork. Big Data Applications Use different data sources to find new insights. e.g. Customer survey, fault notes, transaction histories, search keywords used on you website, device types used to connect to your website. Speed up Research and Development Improve development time using worldwide skills, world time zones, collaboration and virtual teams. NBN can help with the Australian part of global projects. Business Network Options To achieve maximum benefit from the fast NBN network requires a Gigabit Ethernet wired network. NBN can provide up to 4 Gigabit Ethernet services. Wireless networking can also extend the wired network coverage. Business Phone Options NBN can allow for remote PABX phone system services. One PABX can also service multiple distributed offices. Save on line rental costs, call costs, phone system hardware costs. Virtual conference with live and recorded events Create a virtual conference with remote speakers and a remote audience. Online access to presentations can be live or prerecorded. Twitter can be used for social media buzz, feedback and questions in real time. Run Desktop Computing Tasks with Thin Clients Use thin client devices with servers in place of desktop computer. Users can be onsite or remote. No more desktop upgrade cycles. Remote offices can also use thin clients. NBN can support 100s of remote thin client sessions. Outsourcing Provide business needs using external groups. e.g. Graphic designer, transcribing, web page creation. NBN can help with outsourcing video and audio post production. Gain access to skills not available locally. Computing Power at Affordable Prices Use remote virtual computers/servers to help with variable workloads. No capital outlays required. Set up a new remote server in hours. Pay as you go based on processing power, storage and network use. Remote Computer/Server Access Using remote virtual or dedicated computer servers can eliminate the need for a local server room/server cooling/server power. NBN can provide the newtwork requirements for 100s of remote users relative to the servers. Energy Measuring Networks Monitor and control energy consumption at a local or regional level. Avoid peak electricity surcharges. With the extra data then energy efficiency projects can be implemented and analysed. Business Resilience NBN fibre can still operate when under water. Two sites can be kept in data sync for disaster recover with an NBN connection. Business data can be available always. Disaster Recovery Business can operate after a disaster if there are real time remote backups. Backups can be in a different city or state if required. Staff can operate from an alternate site and alternate data centre if required. Email marketing Online email marketing can allow for newsletters, email training courses, links for more information and social media sharing. Content can be customised based on the reading device. e.g. smartphone, tablet or computer. Service Industry Location Keywords Create a unique website presence using keywords based on your services, industry and location. This will match how your locals will be using keywords to find your services. e.g. television repair Townsville. Google Analytics Monitor your website performance for free. See web page views, visitors, time on web page, search keywords, visitor traffic source etc. See how you online efforts affect your website over time. Basic SEO How to make Internet users find your web pages easier. Use web page keywords that your customers use in searches. Tracking many keywords over time is a very heavy Internet based activity. Basic PPC Internet based advertising used maily by Google, YouTube and Facebook. Select keywords to target, advertising copy and your destination web page. Track performance and refine strategy in almost real time. Wiki for Company Worldwide Wiki - a web site developed collaboratively by a community of users, allowing any user to add and edit content. Content can be provided and read from around the world. Maintain organisations knowledge. Dynamic Business with IT Feedback Use the Internet to find new customer needs, trends for keywords over time, phrases used by country and create the service or product solutions. Be early in keyword phrase use online as a web page. Gather feedback from customers to refine products. Video Hire Use the Internet for paid video downloading. This can be in the form of a course, video rental or video purchase. NBN provides a quick good viewing experience. Online Publishing Create digital creative content for worldwide distribution. This can be in the form of online ebooks, magazines, newsletters or podcasts. Specialist content can be provided from a subscription website. Can be sold cheaper to the customer compared to physical goods. Online Accounting Keep booking online to be easily shared by your bookkeeper, accountant, financial planner etc. Link with bank transactions, tax office etc. NBN is good for remote real time data entry. Radio and Television Use the NBN speed for real time interviews, video uploading, field report uploading, event outside broadcasting, news broadcasts etc. Provide quality broadcasting from more locations. Computer shop system set up time reduced Improve the set up time for a computer include operating system updating,anti virus loading/updating and software loading/updating. Customer get thier computer quicker. Computer users spend less time waiting for updates with NBN. Selling Online Photos, Illustrations, Video and Audio Sell online photographs, illustrations, video and audio worldwide using hosted services. Customers can buy online and digital products can be resold repeatedly without any extra effort. Sell Digital Products Sell you own custom digital products. e.g. Software, eBooks, audio books, video files, webinars, music MP3 files, spreadsheet macros, diagrams etc. Files can be hosted for a set fee and online payments system included. Internet Kiosk / Tourism computer kiosk regarding region Provide Internet access terminals as a paid or free service. Provide a further reason to visit your premesis. All Internet users can have a good experience. Digital Self Service Custom Ordering Provide custom ordering using online browser based software editing. Customers can upload content for e.g. picture books, stationary with logos, merchandise with logos, posters etc. Freight can also be calculated in real time based on the order details. Nursing home health - Home health Provide more health services without patient transfers. e.g. Video conferencing between patient, nurse, doctor with on screen results sharing. Patient monitoring data can also be stored, transferred and analysed over the NBN. Remote insurance assessment for car damage Have a set digital process for car damage insurance assessment without the need for onsite inspection. Claims can be processed faster. Remote control and monitoring Use the NBN fibre, wireless, satellite coverage to perform remote monitoring and control of equipment. Solar and batteries can be used in real remote locations. Manage stock water, soil moisture levels, river levels, irrigation, environment monitoring and stock movement etc. Femtocell Provide mobile phone coverage outside the carrier coverage maps. Uses a small mobile base station and broadband as the backhaul. Can also be used in large buildings like shopping centres and underground train stations. NBN Ideas Checked Results show up here. Copy the above results and paste into a document or email etc. Can be imported into a spreadsheet using | delimiter.